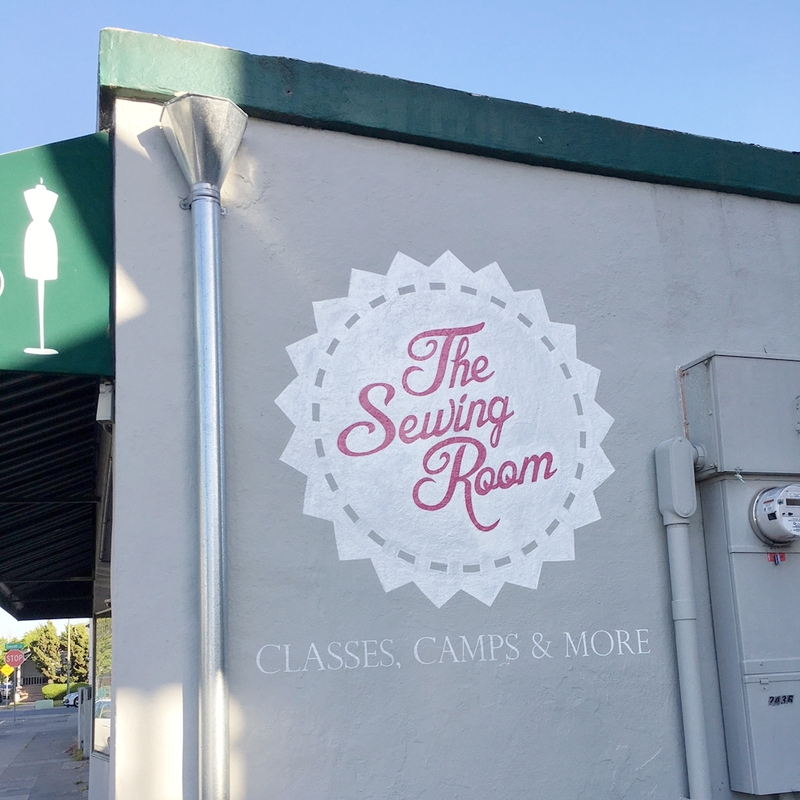 The Sewing Room Blog - New Fabric, Sewing Supplies, New Signage & More! Out with the Pink and in with the white! "Florida Pink" was a delightful color for many years, but the white really helps to show off the fabric. It took several days and with my mom's assistance, we covered up most of the pink (still in the hallway and bathroom) and freshened up the entire space. In addition to painting the inside, it was time for a real sign (or two). Erich Malvre (pictured above, did a fantastic job lettering the awning and painting a sign on on wall. Now everyone driving down the street toward the shop knows we are there. We added a wall unit or two for product. 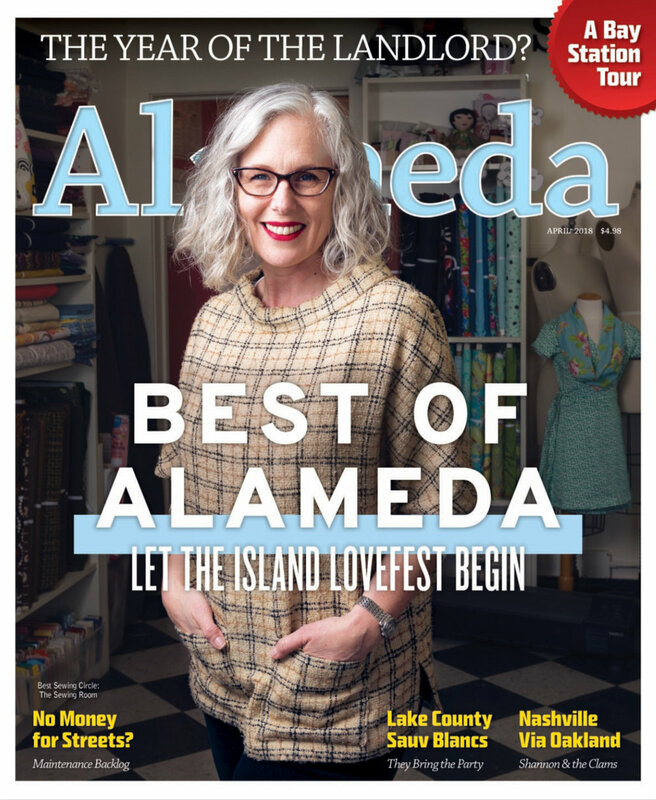 It's important our community has a place to come where they can find all their apparel sewing needs. Our sewing tables were replaced by uniform sewing tables and now all the machines are against the wall. This helps with safety as well as giving us a bit more space to move around. We also have a new addition to our dress form collection. This beautiful vintage adjustable (that's kind of relative being that she's not very adjustable) dress form. 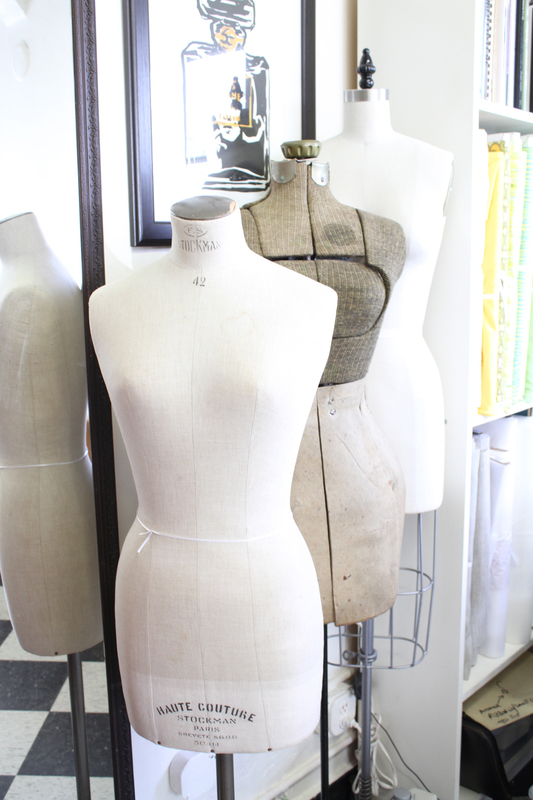 We still carry and offer PGM dress forms, but we love our vintage forms as well. THREAD!!!! we have it! 1094 yards per spool in all the pretty colors! Wait for it! 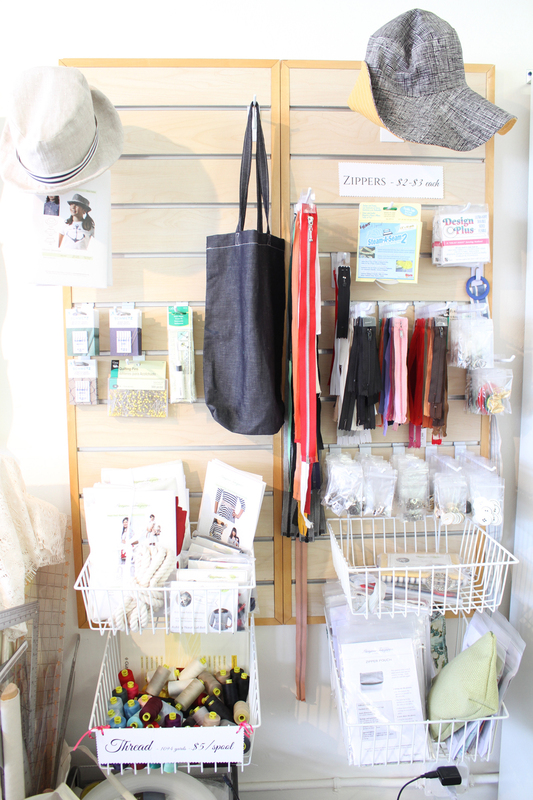 Yes, we now carry Cotton & Steel Fabrics. We love all the pretty designs from Rifle Paper Co. Aren't they lovely? 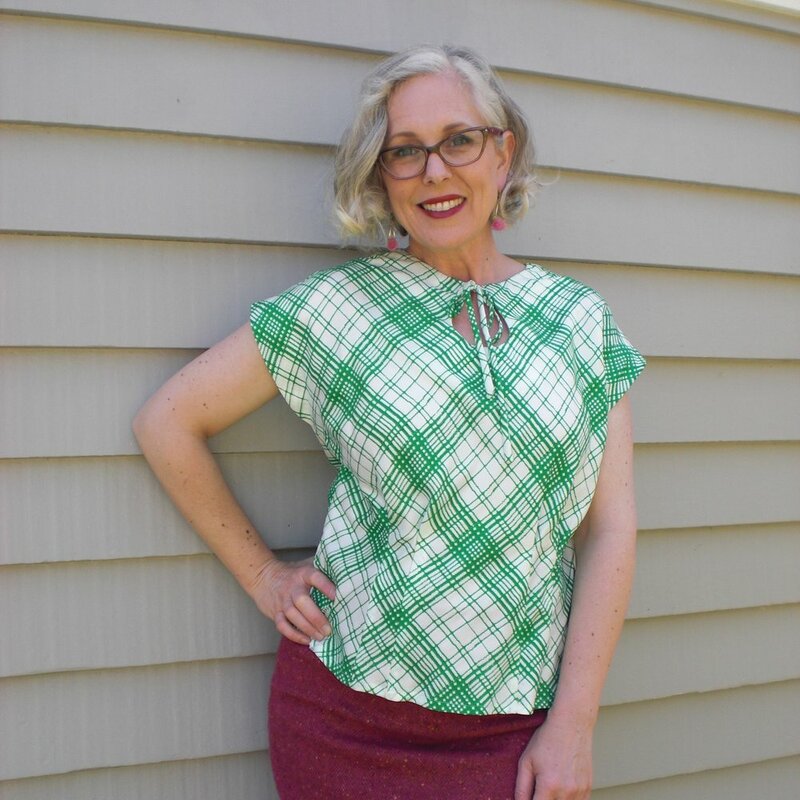 We still carry Tilly and the Buttons Patterns as well as some Violette Field Threads patterns, in addition to the full Collection from Bonjour Teaspoon and some from Sew Demented as well. 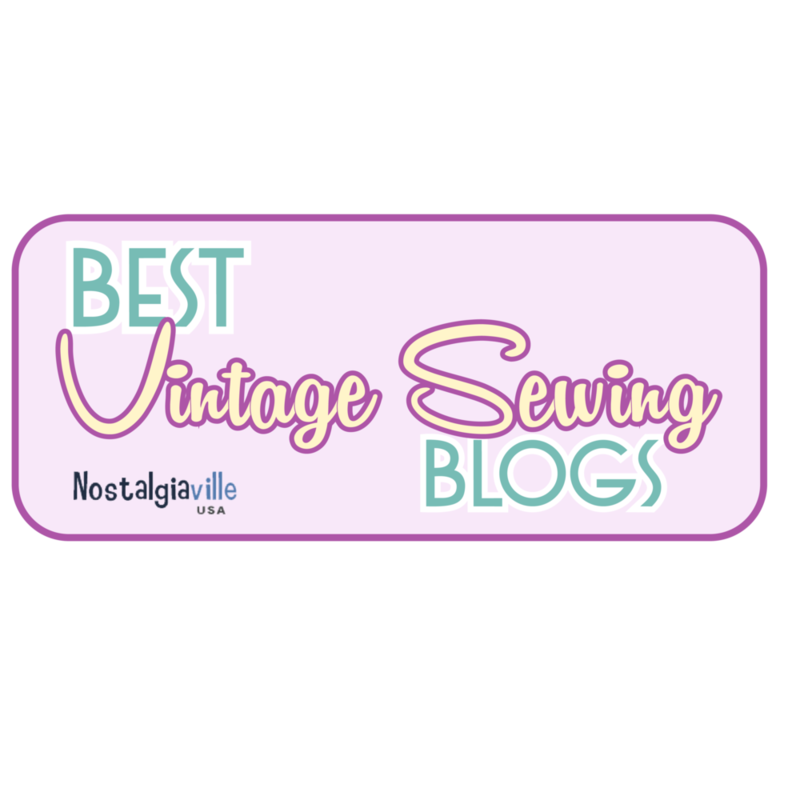 AND, we carry the two Baby Lock SEWING MACHINE models that use in the shop. Please let us know if there is something you can't live without and we'll see about getting it in the shop.